Personally, I find the winter months to be the most difficult to be stylish since I’m more apt to stay inside and hide under a cuddly blanket. Add traveling to the mix, and I’ve exhausted a lot of my clothing options. Really, there are only so many combinations of layers I can style! So when Erica from Coming Up Roses proposed a style collab, you bet I was on board! I’m in some dire need for some fashion inspirations (how how I miss my clothes in the states!). 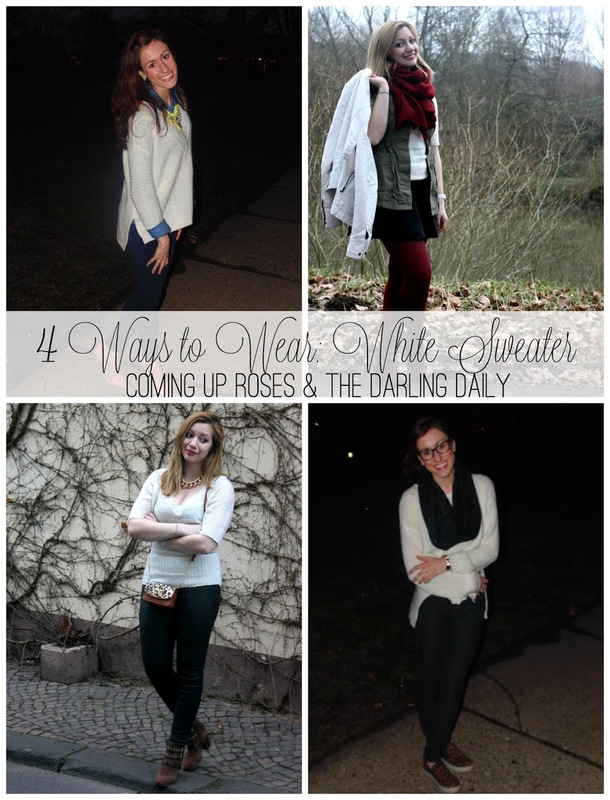 Erica and I put together a guide to wearing the classic white sweater! Erica is one of my favorite bloggers and I recently got to sit down and chat with her on Skype. She is just as charming, bright, and funny as she is on her blog! Erica also got engaged earlier this week (AHHH just SO excited for her)! 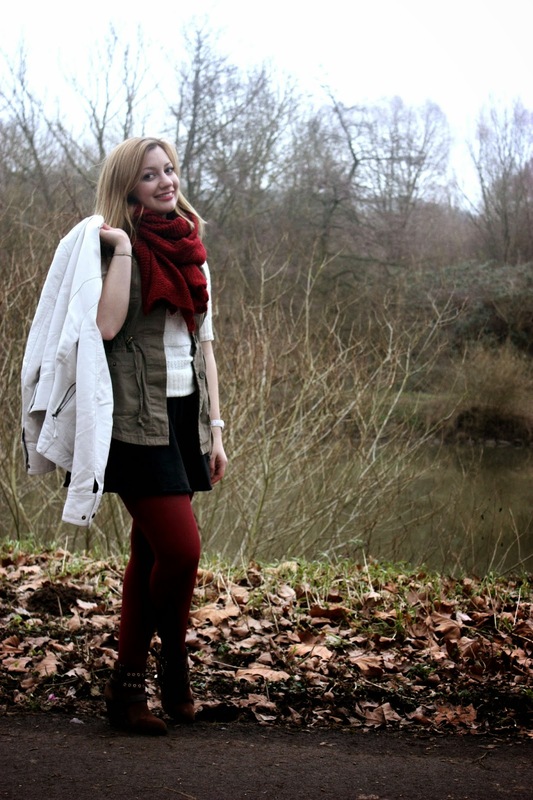 Make sure to drop by her blog to see how she styled her white sweater! This outfit has been one of my favorites that I’ve been able to piece together. I love the color of the tights and scarf. A lot of my wardrobe is black and brown and the deep red seems to complement almost everything. With the cold weather in Germany, the more layers the better! A simple black dress is easily layered with a sweater and vest on top. The great thing is, is that I can easily transition this outfit to just the vest and dress if I find myself on a beach in Valencia, Spain! Firstly, ignore my slight attitude problem in this photo, hahaha! For some reason, almost none of the photos from this outfit’s shoot came out well. So really, just consider this a blooper for you to enjoy, haha! This mixed textured outfit is essentially my go-to outfit for nights out on the town. The booties add some height, the tights elongate, and the neckline on the sweater allows for dressing up with various necklaces. How do you style your baic winter white sweaters?